An open letter to Austin Food And Wine Festival haters: There's no whining at food festivals! Whether or not you put faith in what Punxsutawney Phil saw on Groundhog's Day, the warm sunny air and bright green bud breaks on the trees mean only one thing: Spring has sprung. And this month, there are a few new additions to the Austin dining scene that have sprung up as well. Along with a few fabulous restaurants that are well worth the extra few clicks on your odometers. 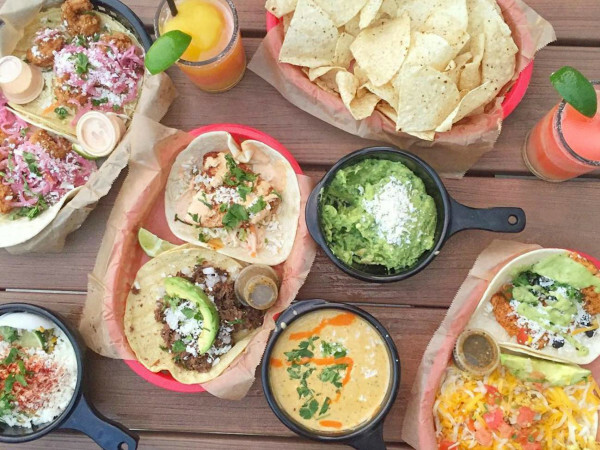 So, save your spring cleaning for another day and set your sights on where to eat this March. As an Austin native, I still remember how captivated the city was when Z Tejas opened in the late 80s with its eclectic Austin style and bold, flavorful food. Menu items like the Navajo taco with crispy-fried spinach and the grilled pork tenderloin medallions with crunchy sweet potato hash will forever be etched in my memory. (Which is a good thing considering they’re no longer on the menu.) 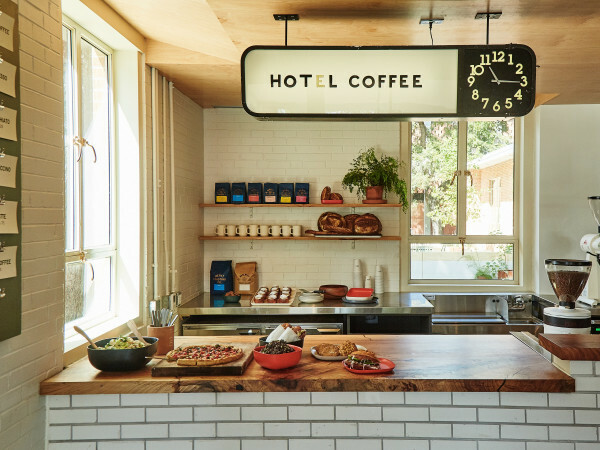 So when news in 2009 of Z’s original executive chef, Jack Gilmore, was leaving the long-time Austin favorite, which has since grown into a 12-location restaurant chain, I was thrilled to see what the well-loved chef would create on his own. In its few short years in a somewhat difficult-to-reach Southwest location, the multi-hour weekend wait at this vibrant locale proves that Gilmore has not only exceeded my expectations, but a whole host of Jack Allen’s Kitchen fans as well. Gilmore’s recipe for success is simple: use quality food (locally-sourced, when possible), combine bold flavors that cleanly come through in each dish and create a fun, lively environment that friends and family won’t soon want to leave. He and business partner Tom Kamm have done exactly that and without breaking stride. I hit Jack’s at least once a month with a standard rotation of favorite dishes including the ruby red trout with sun-dried tomato and walnut pesto over rice and wilted spinach; the “Country Club Fancy Chicken Salad” with dried figs, fresh pears, bleu cheese and chili-spiced walnuts; and the slap-your-grandma-good chicken fried chicken smothered in green-chile cream gravy for when I’m really feeling like falling on the Southern comfort food sword. Of course, I rarely leave without a take-home jar of pimiento cheese or fresh-made salsa to snack on the next day. Would I be such a regular attender if I didn’t live in relative proximity to this place? I can’t say for sure, but I will say that it is places like Jack Allen’s Kitchen that keep Austin’s burgeoning dining scene as grounded and inviting as it is. Yet another not-so-central restaurant in this month’s line up. (And that’s putting it mildly.) 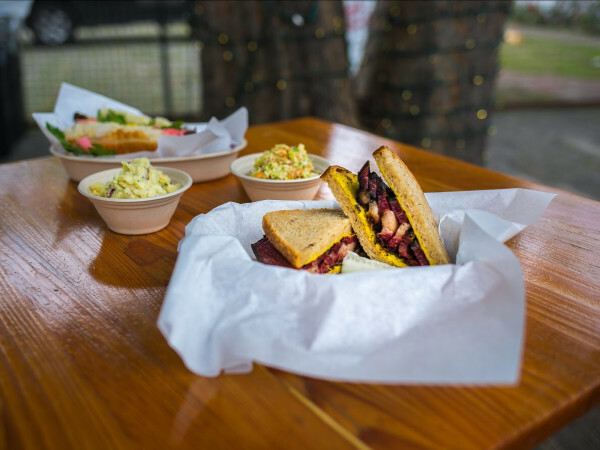 Noble Pig may be on what many Austinites consider the other side of the moon in terms of location, but I promise a trek out to 620 and Anderson Mill Road will have your taste buds reveling in sandwich blissfulness created by chefs John Bates and Brandon Martinez. Yes, this is basically a sandwich shop. But in terms of flavor, artfulness and finger-lickin’-goodness this tiny little strip-center locale is so much more than just a few slices of ham between you’re regular old Wonder bread. (Note: You can pretty much assume that every item listed here is house made. Bates and Martinez wouldn't have it any other way.) Start with thick slices of fresh, toasted white bread with your choice of decadent duck pastrami with Russian dressing and rye pickles; or spicy Thai chicken salad with jalapeño slaw; or spicy ham, pulled pork, bacon and melted provolone cheese, a.k.a, The Noble Pig sandwich, and you’ll know what I’m talking about. And if those tasty options don't suit your fancy, you can find many more on the hand-written chalkboard along the back wall. You’ll no doubt find a new meaning to life with the Italian sausage, roasted tomato and herbed-aioli sandwich. This multi-level corner spot in Tarrytown is new and certainly noteworthy. Whether you’re grabbing a cocktail at the upstairs bar, sharing a few small plates with friends on the treehouse-like outdoor patio or settling into one of the elegant-yet-cozy booths for a romantic dinner with your honey, Olive & June is a welcome addition to the Austin dining scene. Especially if you have felt this town a little starved for a fresh new face on good, authentic Italian food. Chef/owner Shawn Cirkiel (of Parkside and Backspace fame; and a 2012 Tastemaker nominee) has achieved a monumental feat in transforming the former El Arbol Latin American concept into a refreshingly chic restaurant in just a few short months. Among my faves from the picolo piatti (small plates) menu are the thin sheets of zucchini involtini wrapped around a decadent mushroom filling and topped with bread crumbs, a light tomato sauce, and golden raisins. (The crispy saffron-infused suppli — fried rissoto balls — are a close second.) The grilled swordfish entree with crushed pistachio, capers, mint and lemon is divine as are citrus-marinated beets as a side. And while desserts from Stephen Cak are heavenly — right down to the dreamy tart little amarena cherries on the lemon crostata — I think the warm, creamy burrata cheese with a slight sprinkle of sea salt and fresh basil on a crisp crostini may be the simple dish that I go back for again and again... and again. Last month I suggested Lenoir, the new restaurant from the talented chef duo Todd Duplechan and Jessica Maher, as a hot new place to try. This month I’m offering up Trio, Duplechan’s former home as chef de cuisine. Not only for the consistently diverse, innovative and surprisingly affordable wine list from sommelier Mark Sayre (another 2012 Tastemaker nominee), or for the steady leadership from executive chef Elmar Prambs, but for Grant MacDonald, the new chef de cuisine who recently landed in Duplechan’s former role. Hailing from the great food city of Vancouver, MacDonald has quickly acclimated to the milder Texas climate (at least in terms of winter, we’ll see how he feels about the summer), and has whipped up a new dinner menu that is making a fresh new statement. Among the top items to taste: Luscious seared scallops served with crisp pork belly and a house-made sauerkraut—the kind that would make a German oma proud; tender rack of lamb with rosemary and homemade mustard; or the daily selection of oysters served with a sweet guava mignonette that demands an accompanying glass of sparkling rose to wash them down. Give MacDonald until after the frenetic days of SXSW to attack the lunch and breakfast menus, but for now, you can definitely find a well crafted dinner menu that reveals a skillful Canadian doing his absolute best to present a new take on Texas flavors.